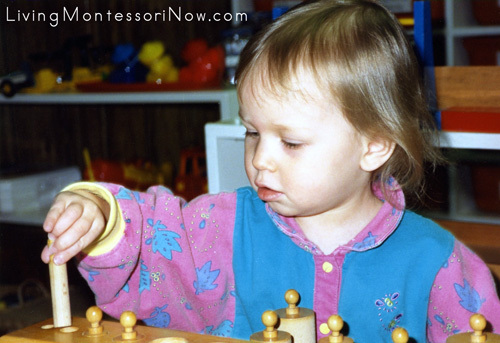 An important Montessori principle is control of error in the materials to give the child instant feedback. 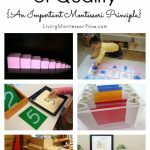 Traditional Montessori materials have a built-in control of error, but it especially helps to focus on the concept if you use DIY Montessori materials or alternatives. 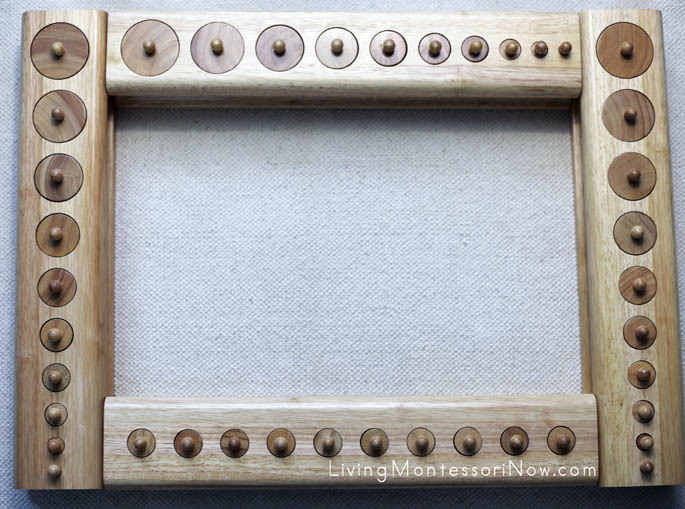 A traditional Montessori material has a control of error or way for the child to check his or her own work. 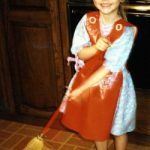 There are a number of benefits, including help with the child’s ability to analyze and solve problems. 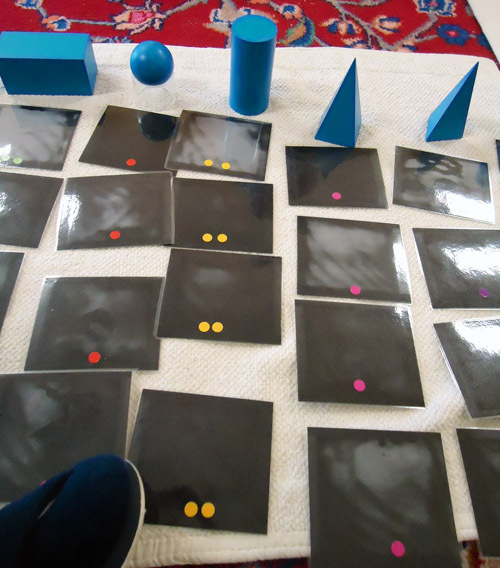 Control of error in the materials also aids the child’s independence, self-esteem, and self-discipline. 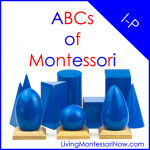 The Montessori cylinder block is a great example of Montessori control of error. 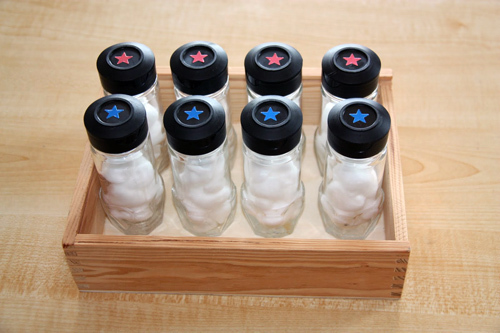 A child will not be able to fit all the cylinders properly into a cylinder block (or a set of four cylinder blocks) if one cylinder is out of place. 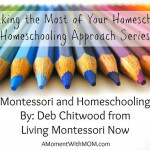 You’ll find an introduction to Montessori principles in these posts: Become a More Successful Homeschooler By Using Montessori Principles and Top 10 Montessori Principles for Natural Learning. 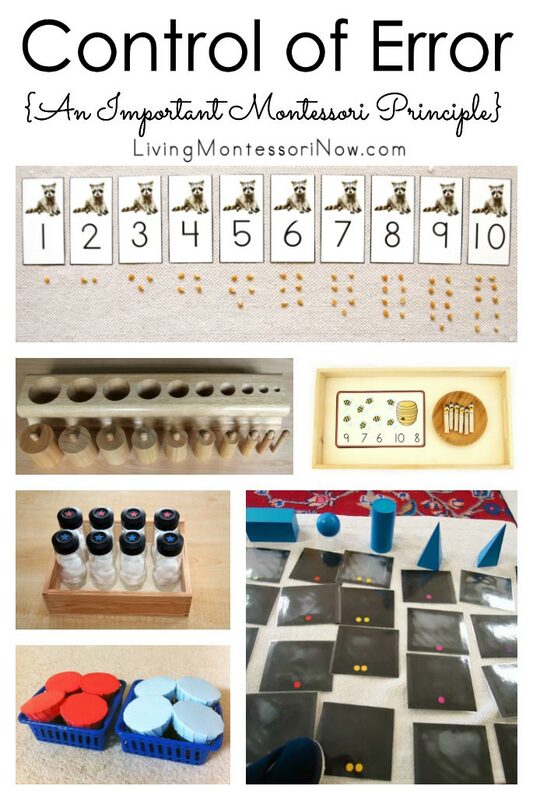 When you’re using printables to create Montessori-inspired activities, it’s very helpful to add a control of error whenever possible. 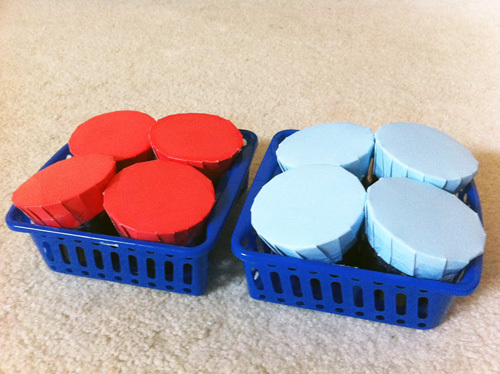 I often include DIY cards and counters to go with my monthly themes. Here’s an example of easy-to-prepare DIY raccoon cards and counters with exactly 55 popcorn kernels to go with the raccoon number cards. 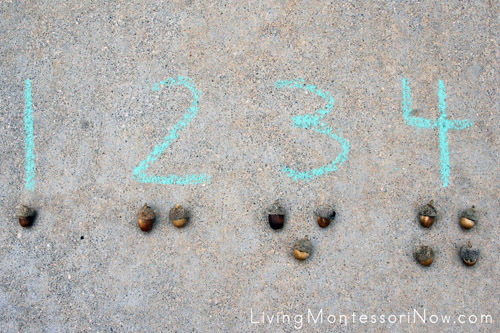 These cards and counters could be used for a raccoon or forest theme, although I used the activity for a Kissing Hand theme for the start of the school year. The Seasons Come and Go from Dirigo Montessori School has an activity with control of error in color-coordinated cards and ribbon. 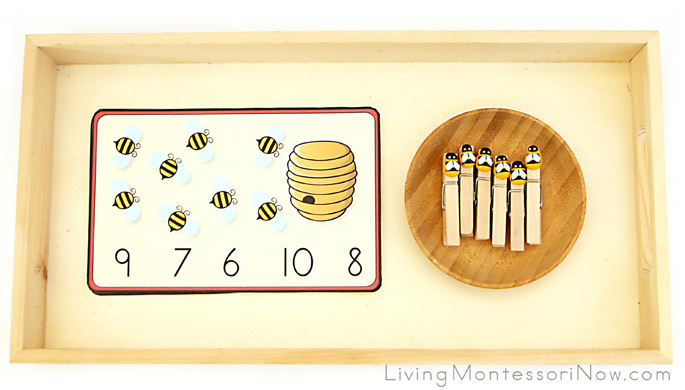 For an activity such as the bee clothespin count-and-clip cards, I place a color-coding dot on the back of each card to correlate with the correct position of the clothespin, creating a control of error. When the child turns over each card at the end, the card’s dot should be covered with a clothespin. Have you added a control of error to materials you’ve created? Love the beauty of the control of error. Nice post! Yur daughter looks so focused in the photo. Thank you for sharing. We’ve been working on a lot of practical life activities with our son recently, so many of these have built-in controls of error. For example, for the pouring activity I posted today, errors cause spills. Deb, I learned a lot from this post. Thank you for explaining the concept so well. Adorable picture of you daughter, too. It’s such a nice thing when kids can “check and correct” themselves. I think it’s an empowering concept.